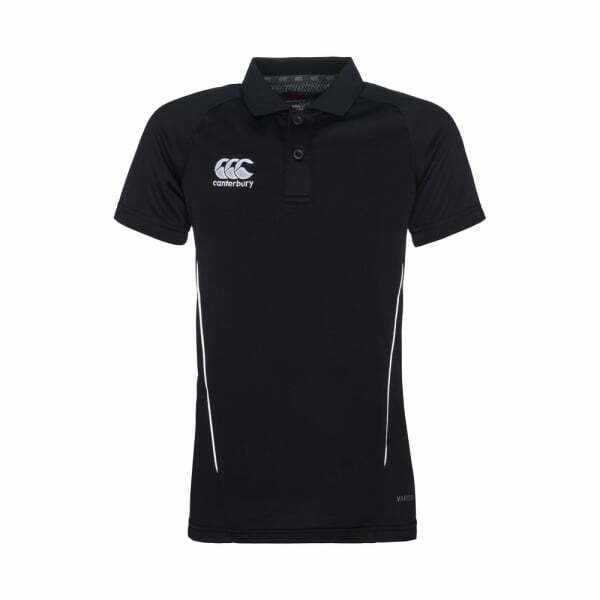 Canterbury’s kidswear range offers the same quality construction as you expect from our adult apparel products, and this Team Dry Polo is a great example. Featuring our cutting-edge fabric technology, Vapodri thermoregulation, this moisture-wicking polo keeps little athletes drier and cooler for longer on the field, while also offering the full range of movement for maximum athletic power. With the polyester mesh back, contrast synthetic piping, and ribbed collar with two-button placket, this polo is sure to make any junior athlete a stylish stand-out amongst their team. The embroidered branding represents the high quality of the product, and the trendy design makes it suitable for on-field and off-field everyday wear.